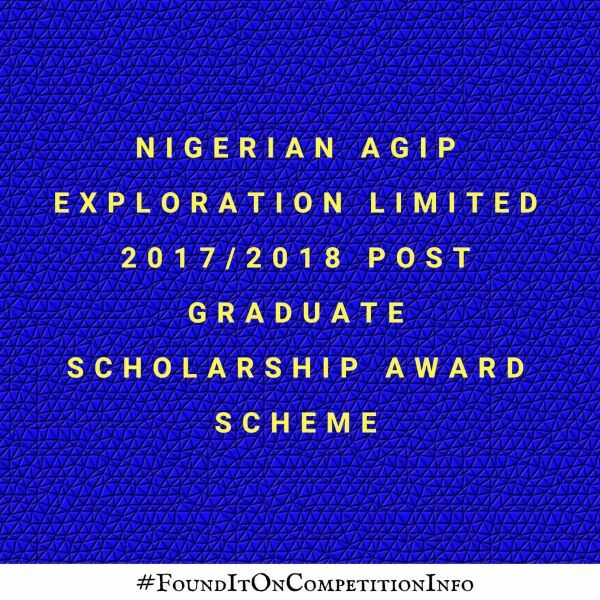 Suitably qualified and interested Nigerian graduates are invited to apply for the 2017/2018 Post Graduate Scholarship Award Scheme. This scheme is being run by Nigerian Agip Exploration (NAE) Limited, on behalf of the NNPC/NAE/Oando PSC. The Computer Based Test for shortlisted candidates shall be conducted on 15th July, 2017.